Louis Palmer, the Swiss man famous for driving his Solar Taxi all over the world, has just completed his latest project, the WAVE Rally (a.k.a. 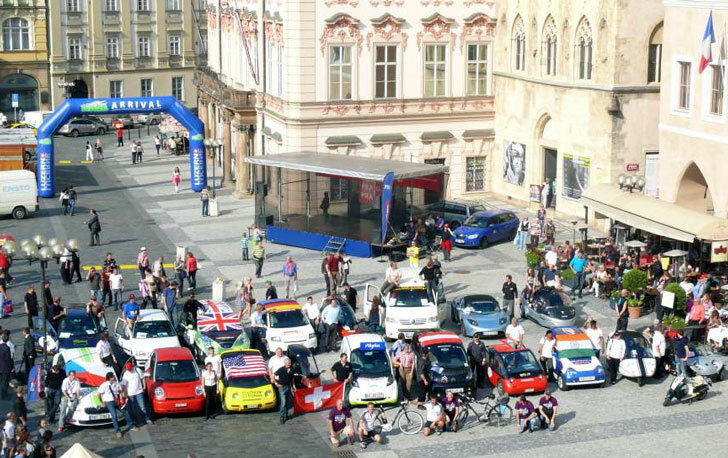 World Advanced Vehicle Expedition) which took 20 vehicles 2,000 miles from Paris to Prague to prove that electric cars, bikes, and other green vehicles have long-distance viability. The most impressive part? The WAVE Rally didn’t take any shortcuts. In fact, they aimed their route right over the snowy 7,100-foot Swiss Grimsel pass and traveled through Belgium, the Netherlands, Germany, Switzerland, Liechtenstein, Austria and finally the Czech Republic to end in Prague. All this with super-light vehicles equipped with summer tires! Participating vehicles ranged from electric bikes to Teslas and Nissan LEAFs to converted gas vehicles and even a 20-year-old Horlacher Sport with 150,000 miles already on the odometer. All vehicles in the rally drove on pure electric power from renewable sources and stopped at various points along the route to show citizens of the towns they passed through how long-distance electric travel on sustainable power was possible. Check out our gallery below of some of the more unique electric participants in the 2011 WAVE Rally. Louis Palmer, the Swiss man famous for driving his Solar Taxi all over the world, has just completed his latest project, the WAVE Rally (a.k.a. 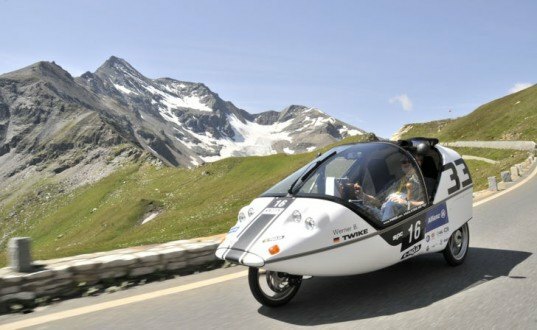 World Advanced Vehicle Expedition) which took 20 vehicles 2,000 miles from Paris to Prague to prove that electric cars, bikes, and other green vehicles have long-distance viability. The most impressive part? The WAVE Rally didn't take any shortcuts. In fact, they aimed their route right over the snowy 7,100-foot Swiss Grimsel pass and traveled through Belgium, the Netherlands, Germany, Switzerland, Liechtenstein, Austria and finally the Czech Republic to end in Prague. All this with super-light vehicles equipped with summer tires!